We are situated in a great location in the heart of West Edmonton. A stay at the Continental Inn & Suites means you are only a five-minute drive from the excitement of the world-famous West Edmonton Mall, right across the street from the Mayfield Common Shopping Centre and a straight shot down Stony Plain Road to the excitement of Edmonton’s Ice District and Rogers Place. Edmonton has a lot to offer and we’re close to much of it. 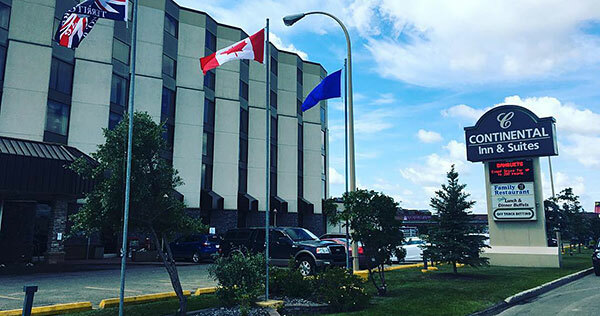 Northern Express Bus Lines operates their Edmonton station out of an office located in the Continental Inn & Suites. Click here for more information or call (780) 926-0808.